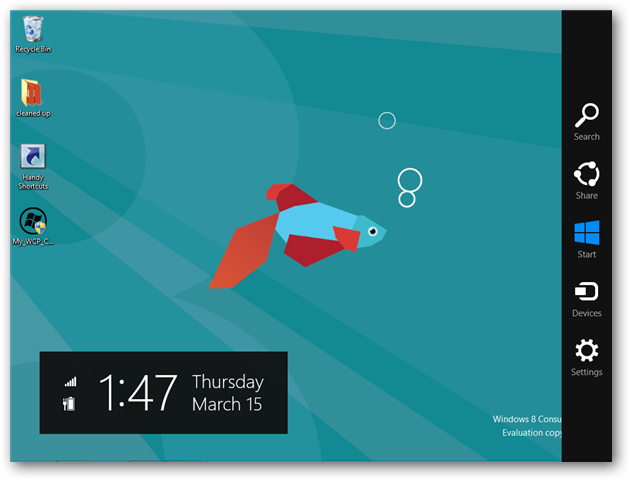 The newcomers to Windows 8 are noticing some subtle changes and other not so subtle ones. The Charms Bar is one of the not so subtle changes. Charms Bar is the cool clock in the bottom left corner of the screen and the vertical bar along the right side of the screen. By pointing your mouse to the top or bottom right corner of your screen, you can make it appear. The purpose of the Charms Bar is to give you quick access to some of the setting you may be accustomed to going to the Start Menu or the Control Panel for. Your basic settings and application search and sharing options are all in the vertical bar on the right. The look is kind of bland. 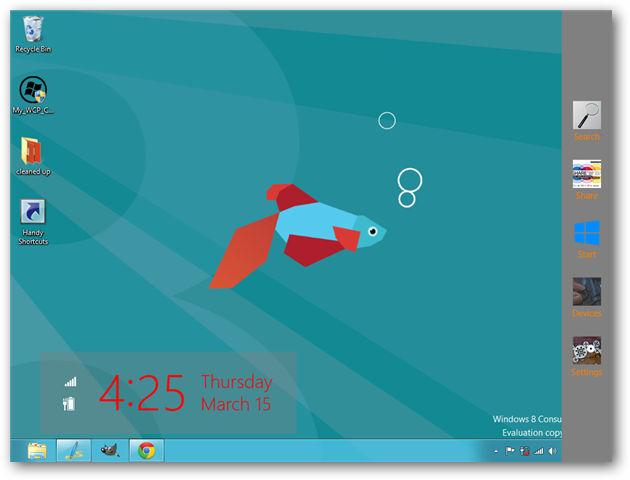 To change the look of these two bits of your desktop, you can use CharmsBarCustomizer. 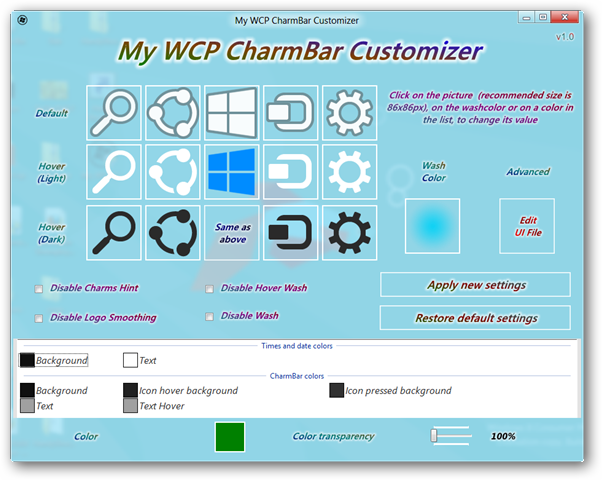 While you cannot change what is in the Charms Bar, you can modify the way it looks using CharmsBar Customizer. When you open CharmsBar Customizer, you will see a lot of adjustment options. The first part we will talk about is changing the icons. You can change these to different pictures if you’d like. To change them, click on the icon you’d like to look different. In the explorer window, you can choose any of your own images. Ideally the images should be 86×86 pixels. Here is a before and after of the icons being changed. The left is before and the right is after. You can change the color of the text independently on the clock on the left and the vertical column on the right. 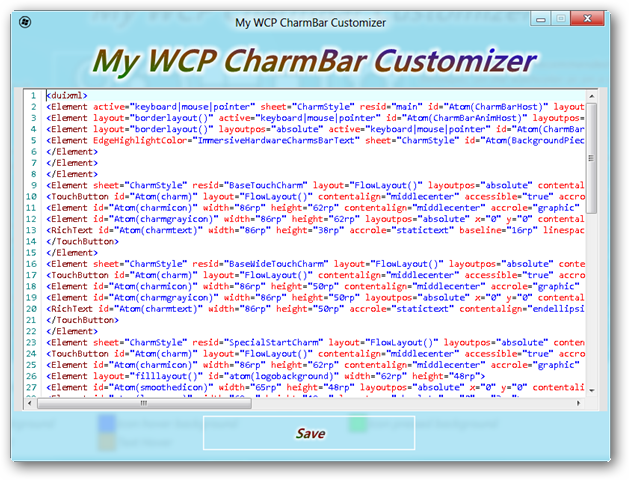 Near the CharmsBar Customizer window, you will see the spot to change the different text options. Click on the text you’d like to change and set the color. The top section of for the clock and the bottom part is for the Charms Bar. 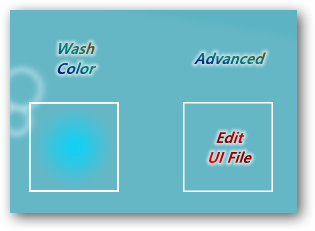 You can change the UI if you are code savvy. There is a button under the advanced heading labeled Edit UI File. When you click it, the code will pop up in a window. Make your changes and save. When you have all of the changes made, press the apply changes button. It may take a minute to apply all of the changes. Once the changes are applied, scroll over and admire your handy work. The above design is something that I whipped out quickly, for the purpose of writing this post. A creative person can make this bar look much better than original and make it suit their own taste. Easily being able to make changes like this will help people like changing to a new OS. Personalization is huge for many people. When people can take something and put their own flair into it, you are sure to have a winner. Next articleKindle vs. Nook vs. iBooks – Which is the Best Way to Download and Read Ebooks?